We are Melbourne's number one Craft Brewery Boiler System manufacturer. With systems installed in twenty six craft breweries to date, we've got extensive experience not only in manufacturing, but in brewhouse hookups, distillery systems and chilling lines as well as a thorough appreciation for the product and industry. Talk to Concept today to find out about the best steam solution for your Craft Brewery or Distillery. Steam produced with a gas fired boiler delivers a more efficient mash process than electric elements or gas burners on the brewhouse. It doesn’t just save you money on electricity, it delivers faster temperature changes and more consistent heating. The most consistent brews are produced with steam boiler systems. We don’t just build the best boilers for craft brewing, we pipe them through your facility and hook them up to all equipment including Barrell sanitisers, Keg washers and your Brewhouse. We can easily handle multiple pressure and sanitary requirements from the one system. We’ve worked with over twenty breweries from set up to brew day. Concept have the experience and equipment to connect Glycol Chilling systems to brewhouses, and are skilled in the connection and use of heat exchangers. We can install all Glycol line when we hook up the boiler system – saving you time and money. We specialize in Craft Beer. Our CBW-X Boiler can be build in sizes from five to fifty horsepower. 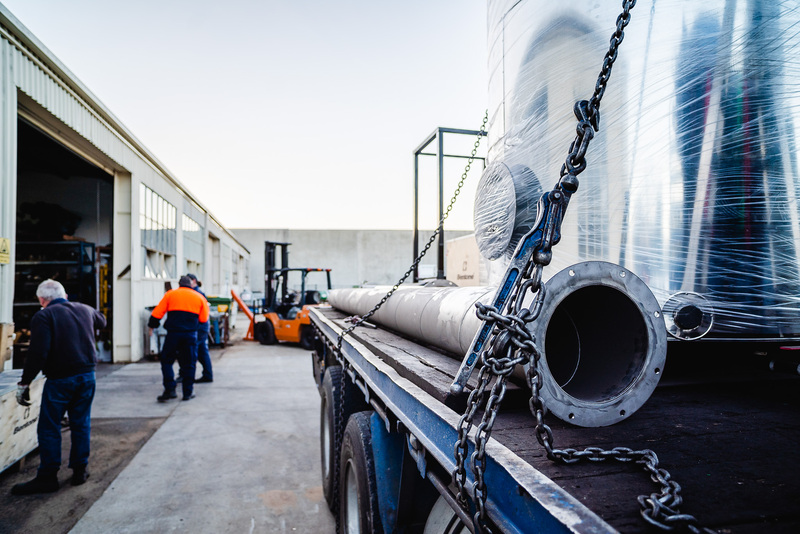 We can build all your pipe and assemble it on-site to fit your factory. Our advanced condensate system recycles heated water for extra efficiency. We’re experienced with connecting steam and condensate line to all popular brewhouse systems. Twenty six craft breweries, and counting. We are the most experienced Craft Brewery Boiler System manufacturer in Australia. With a complete system that's designed and built for efficiency and sustainable production, our Boiler System will ensure your brewing operations are consistent and reliable year round. The primary benefit of using steam to heat your brewhouse is the enhanced efficiency it provides when heating the water used for mashing, sparging and boiling. When you fit our advanced condensate capture system to your brewhouse, you can recycle the heated water and increase sustainability even more by recycling the heated condensate back into the boiler system - resulting in faster boil times and reduced energy usage. With experience building and fitting valve trains in small and large breweries, installing custom made steam line and providing food grade, stainless steel piped culinary steam for keg washing and barrel ageing, we are the go-to craft beer steam experts. One in Five GABS Hottest 100 Beers were made with Concept steam. 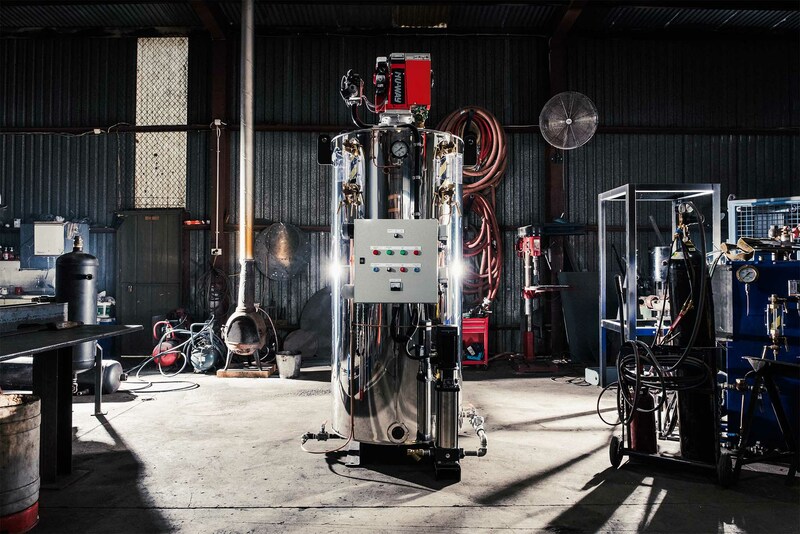 The best Australian craft breweries use Concept Boilers. Our specialized Craft Beer installation experts provide food-grade steam with our modern, reliable and 100% Australian Made boiler systems.